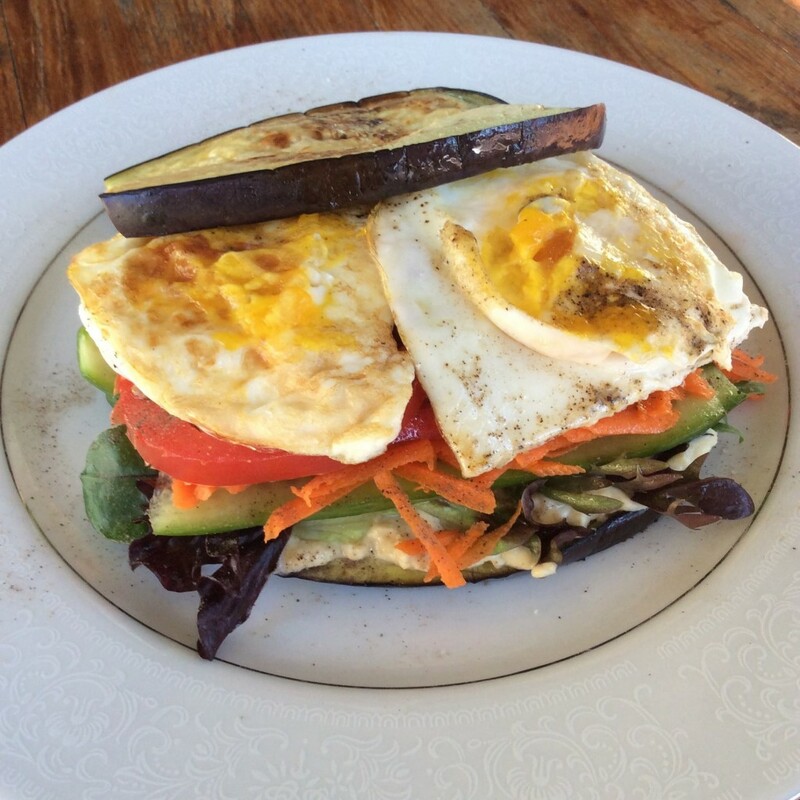 Nutrition Savvy | Eggplant Sandwich Anyone? Home - Blog - Eggplant Sandwich Anyone? Have you ever needed or wanted bread but didn’t have any or was on a weight loss plan that limited it? Then try using grilled eggplant instead! Slice it about 3/4 of a centimetre thick and grill it on a grill or sandwich press (I use my flat surface Breville sandwich press) until it just softens (I added a little salt & pepper for taste). Then top with your favourite sandwich toppings! Pictured was my lunch yesterday with hummus, salad and eggs. Whatever your reason, it tastes great, is good for you and helps you increase your vegetable intake – so give it a try! Hello friends, nice post and nice arguments commented at this place, I am actually enjoying by these.